Beer and cheese are the absolute best of friends. Anytime they hang out, delicious things are bound to happen. This recipe is the perfect go-to, supersimple dip. 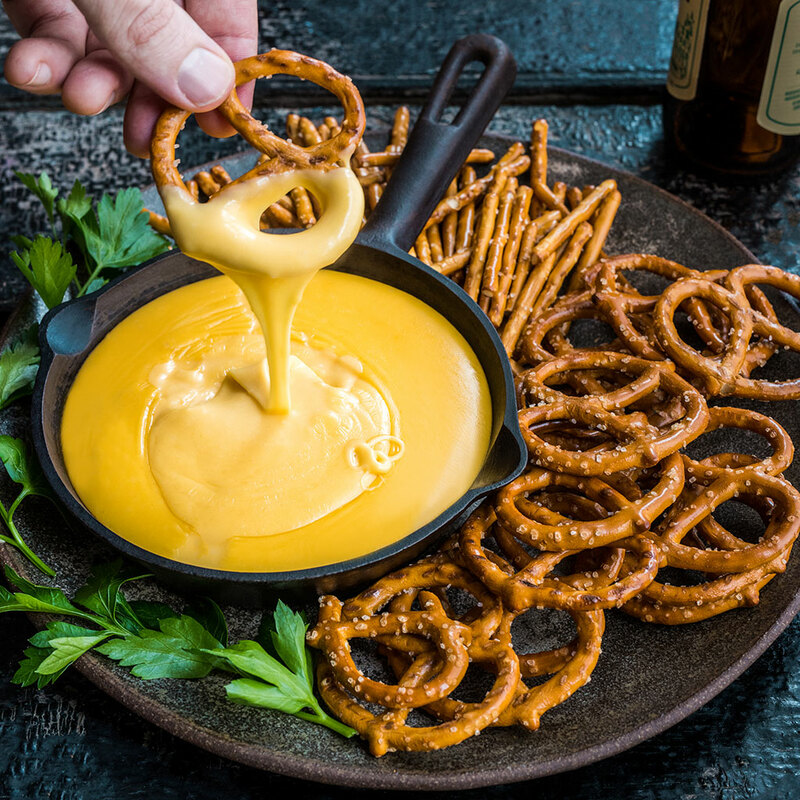 All you need is your favorite beer, some high-quality cheese, a whisk and a strong desire to get your cheese game on. Heat a 3-quart saucepan over medium-heat, and melt 2 tablespoons of butter. When melted, add the grated garlic and flour and cook, stirring constantly (2 minutes). The flour-butter mixture will be frothy and bubbling. While constantly whisking, slowly pour the beer into the saucepan, and bring to a boil. After the sauce has come to boil and thickened, reduce the heat to medium and, working in 1 cup batches, whisk in the cheese until melted. Sprinkle in the smoked paprika, and serve immediately.